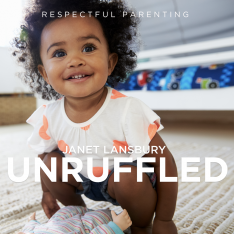 ‘Respect’ is vital to parenting, but the word can confuse us, especially when it comes to setting limits with toddlers. Children need lots of opportunities to be autonomous and have their choices respected. At the same time, they also need to know they’re not in charge, and we demonstrate that through our confident, decisive, gentle leadership. It can be tricky figuring out how to balance these seemingly opposing needs. How do we know when our children should choose and when they need us to? If our toddlers could let us know when we are giving them too much freedom and causing them to feel uncomfortably powerful, they probably wouldn’t…at least, not verbally. But these uneasy feelings are usually expressed through our toddlers’ behavior as they become more resistant, whiny, distracted or clingy, or continue to test until we give them the help they need. Meaning, until we make a choice for them. It might seem ironic (and unfair!) that giving our children freedom to choose can cause them to test our boundaries even more, but there we are. Two year olds aren’t terrible — they’re torn. As much as they appear to want to be in charge, the reality of that power is frightening and can severely undermine their sense of security. Most of the choices toddlers can’t comfortably make are about transitions. This makes sense. Toddlers are already in the middle of a massive transition, growing and changing at a dizzying pace. Even the most minor transitions mean giving up the temporary balance they’ve managed to attain and finding their footing in a new situation. And when we give toddlers more than one brief choice during times of transition, we invite them to dig their heels in. Your two year old has been invited to a party and suddenly, mysteriously puts on the brakes as you approach the host’s door. “No want to!” he whines. So you wait with your child while he wanders around the front yard. You wait, wait and wait some more for your child to tell you he’s ready. You certainly don’t want to enter your friend’s house carrying a screaming child. And this should be his choice, right? But because you are human, you’re losing patience and getting annoyed (which is usually a sign that you need to set a limit). You try coaxing him with delectable descriptions of balloons, games, and yummy cake, all of which you know he adores. Still, he refuses. c. Let him know it’s time to go in, carry him inside and face his possibly explosive negative reaction. d. Give him the choice of going in now or in three minutes (or perhaps the choice of walking or being carried) and then follow through with c.
As you might have guessed, I recommend d. Once you’re inside I’d allow the child to choose to stay on your lap for as long as he wishes or participate in the party, and be prepared to possibly repeat d. when it’s time to leave (the joy!). When we project calm, our children usually release their upset feelings quickly and feel free to move on. Which reminds me of a parenting rule of thumb: Fear (or even slight reticence) about upsetting, disappointing or angering our children will cloud our vision and negatively affect our judgment. Is this what we want for our children? Absolutely not. Our kids are going to resist our agendas, explode and meltdown on us regularly. That is the freedom they need most. So, our job is to be a solid leader who can remain calm and empathetic in the face of our child’s storms, and not waver, get angry or pitying, or take his or her feelings personally. Hurting themselves or others is an obvious one. Sometimes we can offer the child the choice to hit or kick something safe, stomp their feet, or do something else to encourage them to safely to get their feelings out. Always acknowledge the feelings, no matter how overly dramatic or inappropriate they might seem. Repetitively taking toys is usually a sign that the child is asking for help with boundaries and needs to be gently stopped. Car seats area common source of struggle for parents. I don’t believe that children feel comfortable choosing when (or if) they should get into the car seat. They can choose to get into the seat themselves or be helped. Choosing clothing should be the child’s prerogative within reason. But I don’t believe in allowing children to go out in uncomfortable, revealing or otherwise inappropriate clothing. For me, this is neglect, not respect. Leaving our child to go wherever we need to go must be non-negotiable. Again, always acknowledge the child’s feelings, assure her you’ll be back and then separate with calm conviction. It is torturous for a child to be in limbo attempting to keep us there longer while we waver. If our children aren’t getting the clear, consistent boundaries they need in one of these areas, their general sense of comfort and security can be diminished, which often causes them to test boundaries in other areas as well. Navigating this delicate balance between freedom and boundaries is never easy (especially for those of us who aim to please), but these endless hard choices we make each day with our toddlers are a sure sign of our love. Deep down our children know that…and how much they need it. This post is so timely for my family! But I wonder – can my 16 month old understand these situations as well? He answers yes or no questions well, but, as an example, if I offer him a “now or in 5 minutes” will he really know what 5 minutes means? Lisa, this is wonderful. Thank you! Vicki, I couldn’t have said it better. We have found it really concrete and easy! No the child does not understand what five minutes means. But the child does learn that 5 minutes is later and the freedom to (hopefully) finish the activity he/she is engaged in. With some children I set a timer so they can gauge how long 5 minutes is. You also have to give a 1 minute warning and then follow through with the change in activity. we use the ABCs. Often it can be a challenge to get my daughter to cooperate if she has asked for help as she is trying to drag the experience out longer. I offer that I have two ABCs worth of time so she can gauge if she wants to cooperate or choose todo it in her own. Mine learned quickly to ask for “minutes” when I would say “time to go”. I don’t think he knew what this meant, except that he got to delay the transition a bit. Thank you so much for this post. As an infant/toddler teacher I see the pain and discomfort in my parent’s eyes when they have to set a boundary that they know will upset their children. They are such wonderful parents that they want to make their toddler’s childhood a wonderful experience. I think that recognizing the child’s need for boundaries in relation to their development is something that helps not only educators but parents to ease the transition from adult regulation to self-regulation. If we can’t teach safe, appropriate boundaries, how can they learn to set them for themselves later. As usual, you have state this beautifully! Elexa, thank you. I see that pain often myself, and remember feeling it. But it became easier when I realized that what we are giving our children when we give them boundaries is the joy and freedom of childhood. 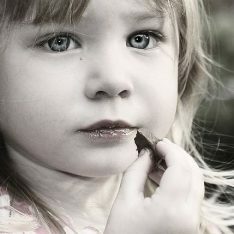 Children burdened with decision after decision are forced to grow up way too fast. Elexa you are so right. Parents and teachers teach and model discipline so the child becomes self-disciplined. BTW discipline is not about punishment. The root of the word means to teach. this is such a great post!! a perfect reminder, really. my guy will be three in july and we’re in the midst of a lot of push-back which i know is totally natural for his age. reading this reinvigorated me to set the limit and hold it. i find myself getting “too creative” trying to come up with solutions/compromises to get the little tasks done. what you said about over-identifying with the feelings? check! i think that’s the perfect way to put it because when i’m not firm (loving, but firm) enough with my limits it creates more problems than it solves – even though i’m doing it in the name of respect and compassion. i’m perfectly comfortable handling the feelings that come with a set limit… it’s not that i’m trying to avoid them but, admittedly, it’s tempting to get creative instead of firm with a limit when i’m just trying to keep the daily boat afloat without constant conflicting interests. but i feel like a doormat when i do and i know it gives my guy too much power and leads to him feeling uncomfortable, then acting as such – and the cycle continues. sigh. i do use the timing a bit like you put lately… i’ll give him a choice as always but i will give him a choice between doing whatever-it-is now or after x-y-z time. sometimes, though, i found that that can be tricky and leads to the envelope being pushed. but then, that just means: feelings need to be felt! i can’t stand the notion of threatening, “you have until the count of three!” but, because i know it’s a time-frame that he can identify with, sometimes the choice will be between doing something now or after i count to three. or i’ll tell him that i’ll count to three and then he can choose between doing it himself or getting help. i am super careful not to say it in a threatening way and also don’t use it at all when i’m feeling too frustrated or annoyed because i don’t want to sound/feel phony and i don’t want him picking up on the subtext and having the “count” feel like an “or else” type of threat. a timer is also helpful, too… it’s all just a good reminder that he’ll either be ready to work together when the time’s up and the limit’s upon him, or he’ll need to work on getting some feelings out! sorry for the stream-of-consciousness comment here! this has (clearly) been a HUGE topic at my house for the last few months. and with a new baby due next month (!!!) this post is an excellent and timely reminder. Sara, as usual, you are so insightful… Yes, often when children resist it comes down to the fact that their “feelings need to be felt!” Children seem to store up feelings and it’s almost as if they are asking for our help to release them of this burden. I also agree about the threats of “I’ll count to three”. Right there we are putting ourselves at odds with our children instead of being gentle leaders. I admit I’m not crazy about timers. I know they’re all the rage for parents these days, but I don’t like to teach children to live by the clock. When I say 5 minutes, I don’t want to be that exacting! I SO know how tempting it is to try to avoid power struggles, but when I hear of parents saying “bye bye” to their children and pretending to leave them rather than insisting they get in the car, I worry. That may feel more “gentle” to the parent, but in my book, that borders on abuse. Sara, such AWESOME news about the baby! Please keep me posted! thanks so much! we’re super excited… can’t wait to see who’s in there! i completely agree with you on the “bye bye” fake-out… it breaks my heart! whenever i see it – at the park or wherever – i absolutely cringe. what does it even teach?! seems like it either reinforces the idea of false threats (ewww and ewww) or makes your child think that you’d actually abandon them! either way it’s unnecessary and just plain sad. another one of my least faves: when parents are flippant with their children to “show off” (not sure if that’s the right phrase) for other parents. anyways, thanks again for the post and the thoughtful follow-up! A friend put me on to your website and I’ve been finding it really constructive and positive. I’ve just been reading your article about limits in relation to my 27 month old daughter and it’s very helpful. BUT your comment here about the “bye bye fakeout” (as your commenter Sara described it) has really hit a nerve and I wanted to ask you about it. I use this more often than I want to with my daughter. It’s not for anyone else’s approval, and it’s not because I want to make fake threats and it’s not because I want her to think I’d abandon her. It’s because I also have an 11 month old and a bad back and I often don’t have the option of physically taking my 27 month out of a situation. My 27 month old is extraordinarily determined, persistent and tenacious. So for example when my 11 month old has a dirty nappy and is over-hungry and over-tired and I desperately need the toilet and my 27 month has been refusing to leave the park for 20 minutes and we’re all losing our tempers I tell her that her brother and I have to leave the park and she has to come with us, but if she doesn’t then what will happen is she will be at the park by herself, and I start walking away. This is always a last, last resort. How is this worse than man-handling my daughter into a stroller and pushing her screaming all the way home? I have done that when I’ve been strong enough and the result was she screamed all the way home and then I had to repeat the process (carrying her screaming) to get her up our three flights of stairs, in the door and then she spent the next hour lashing out. On the occasions I do start walking away she seems to remember that we (me and her brother) are other people, separate to her. She freaks out at the idea we might leave her there but then gets over it very quickly once she catches up to us and the rest of the way home is usually a fairly smooth trip. But I don’t want to be scarring her for life. And you used the word “abuse” which is a very strong thing to say. There’s another way you could do this that should work just as well, but wouldn’t be about threatening to abandon her… An upbeat, “We are going to start walking to the car now…” And then you confidently start walking. Or, better yet, you confidently take her hand…” It’s time to go. I know you don’t want to go!” And that’s actually the most important part of this, really hearing your child’s feelings. Most of us have the tendency to acknowledge in kind of a blow-off manner: “I know you don’t want to go, but we must”, etc. But if you acknowledge, “You dont’ want to go. You’re having fun”, and then leave silence so that she is really heard, it will probably be all she needs to be able to let go of her power struggle with you. Not to upset the balance of positive vs negative here, but… when you have a child that is more determined, more independent, more stubborn than you can imagine, the child stops listening after you say “It’s time to go.” They hear that and automatically go into the “I don’t want to leave” mindset and don’t hear you affirming their feelings. I’ve tried that. And maybe it works for some kids, but it definitely doesn’t work for others. I’ve had to use the “We’re going to the car now, see you later” and walking off (not really) so my son will follow. If I were to go back to saying “It’s time to go home now, I know you are having fun”, he would try to convince me that having fun is better than going home. He’s done it before. When kids are a certain age, before their reasoning skills truly start working (or maybe it’s a lack of communication/language skills), you can’t reason that it’s dinner time, or the park’s going to close, etc. This “I’m leaving” type of discipline didn’t scar me, or my siblings, or my cousins, or any other child I’ve known. It taught us that our parents are going to follow through. Don’t bash it just because you think we’re not acknowledging their feelings. So what happens if you acknowledge your child, like you said, and they still refuse to comply? I like your qualifier at the beginning – “There’s another way … that should work…”. “should” truly is the key word here. Please don’t vilify some parents just because their successful methods aren’t “ideal”. Every child is different. Mariyam, that must have been a hard choice for you… Some parents would not have had a choice. Since you had the option, I can certainly understand deciding your little girl wasn’t ready. Child care is not something children need, but some parents do. Did you end up finding other child care or did you stay home with your toddler? I can’t really compare this to the choices I’ve mentioned in this post, because unless you’ve decided that you need to make this work, it’s probably not going to work for your child… Like you, I’d like to hear other’s thoughts. Thanks for sharing. You said you took her out of THAT daycare. Does that mean you found a different daycare that’s working better? If so, maybe the daycare just wasn’t a good fit for your daughter. There could even have been something wrong going on there, though I wouldn’t assume that without other indicators. Anyway if she’s doing well somewhere else it wouldn’t seem like a power struggle issue. If you’ve found a solution that works for you and also doesnt make her miserable I think that can only be good for you both. I don’t think enforcing limits means never changing your mind. The emotional attachment to the caregiver is extremely important, Mariyam… That is why most centers encourage parents to introduce their children to their program and carers very gradually… If that was not the case for you, I would make sure of this yourself. Take her there for brief periods and stay with her while she gets to know the place and the people. Mariyam, I am a retired teacher. I have 2 young grandchildren I look after once a week. I run groups for toddlers & parents as well as nanny a 2 year old. 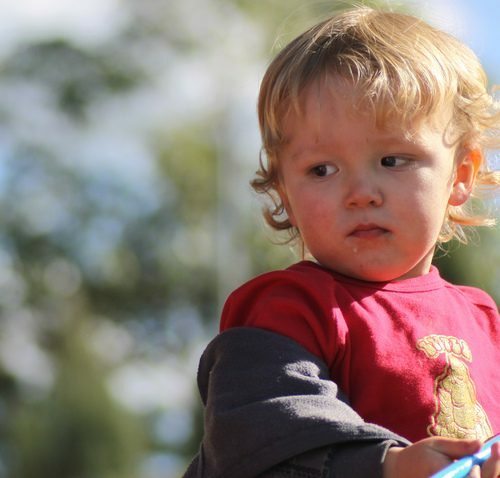 I have seen many different responses from toddlers as a result of being left in care. Some are completely happy & others are not “ready” to be left. Those children need a very supported transition. Where mum or dad stay with them the first time. Each subsequent stay they are left a little longer until they trust that you will return “soon” (2 hours may feel like a whole day to a child). It seems like a lot of trouble to go to but in the end parent & child both benefit. Having said that … children under the age of (roughly) 3 don’t play with other children but rather alongside other children. So my feeling is that if it is not absolutely necessary then childcare is best left till they are around 3 years of age. We don’t all have that choice. I know I didn’t when I was a young mum. I just had to work. I think you did the right thing pulling her out of daycare. I think leaving her for a couple of hours with someone she knows & trusts will work better for her at this age. Dianne, thank you so much for your comment. I agree with everything you’ve said. I wonder what age you’re calling a toddler? I’ve heard it starting anywhere from 12 months to 18 months. I’m trying to get an idea of when I can expect a baby to understand that they shouldn’t do “repetitive toy taking” or other types of behavior that babies do more out of exploration than limit testing. I have an 11 month old. Usually when he’s around other kids there aren’t objects to struggle over (playground) but I’m sure I’ll face this soon. Meagan, thanks for asking… I wouldn’t worry about this at all just yet. Yes, when children begin to walk (or turn one), they officially become toddlers, but toy taking doesn’t become an issue until the latter half of the second year, at the earliest. When one year olds do it, it’s about connecting with each other or seeing an object come “alive” and getting excited about it. If you observe closely, you’ll notice when toy taking becomes impulsive and repetitive… and not all children do it. Janet, This topic is so very important to me right now! My very spicy 2 year old pushes the boundaries constantly, and I have been reflecting on what needs to change. I greatly appreciate the examples and the reassurance you provide. And it all makes perfect sense! Long ago I made it gently clear that she will sit in her car seat, (I acknowledged her feelings and gave her a loving and brief hug) and confidently put her into her seat. She quickly realized that it was non negotiable. It is not so easy with many other aspects, though. Can you provide any suggestions, when my daughter is doing something she is not permitted to do (let’s say pouring her water on the floor) and I want to stop her, usually I say “turn your cup upright, you may not pour on the floor” and she usually dumps the cup and runs down the hall laughing. (we also use sippy cups, but she’ll take a big sip of water and spit it out) I walk to her and remove the cup from her hand and we clean up the water together. Sometime I react and lunge to stop her, and this really sets her off, she thinks it’s hilarious. But with so many boundaries being pushed, I have been loosing my composure. We have come to a point where I can’t turn my back on her without her grabbing plants or jumping on the back of the couch or banging a toy on the window…. In short, be sure to give her positive attention — watch and enjoy her while she plays, be attentive at mealtimes, etc. If she pushes boundaries, don’t sweat it. Remember that she is a tiny little girl. Rather than react or push back, just diffuse the situation by putting a gentle end to it. Well Anne Marie, that sounds exactly like my 15 months old! it’s actually funny how similar it is. And Janet, you’re right, he knows it pushes my buttons and will surely get attention from it… I have found that everything is much easier when I acknowledge that, and give him attention and not make a huge deal out of it, etc. Well all the things you recommend basically! Thanks for your website, I’m just discovering it, but it’s perfect timing and very helpful! Annelie, you are most welcome! Love the “yittle bed”, Elizabeth! But the switch is not usually as simple as parents expect. Yes, those choices and routines around bedtime are really important. Hmmm… You make me miss those days… Enjoy! What age do you recommend for a “yittle bed”? I know Hank (14 mo.) loves the confined area for naps and bedtime as he plays in there until he falls asleep. Would his room be too big of a distraction? Yes, don’t rush the transition out of the crib if there isn’t a need to for a new baby to use the crib. My twin sister and I slept in our cribs until we were 5 I think. OK we had special needs but a crib was not needed for a baby sister before then. It’s nice to be able to remember how cozy that personal space was. A younger mama friend posted this article on her facebook wall, so I had to come check it out. I really believe that this technique outlasts the toddler years by a LONG shot. My kids are 8 1/2 and 6, and though their emotional vocabularies have grown as their abilities have grown, they still reach points pretty regularly where limiting either the number of decisions they have to make or the number of available outcomes of a decision makes our interactions calmer and easier on everyone. Reminding them, too, that just because we do something one way today doesn’t mean that’s how it has to go every time has also been helpful. Thank you for expressing so clearly and well a concept that I sort of understood with my gut but hadn’t found the words for! Thanks, Anne! I agree that these thoughts about our children continue. And if we can begin to find this delicate balance between freedom and boundaries when our children are small, life is so much simpler and happier for everyone throughout the years. another great post janet. i did want to say something about “appropriate” clothes. the wars i’ve seen parents engage with toddlers of appropriate clothes is mind boggling. two year olds have, i believe, entirely different ideas of what is appropriate. for them, often, they just want to wear a diaper. and i think often “our” preconceived notions of what is appropriate harms the children. at my son’s preschool the two and three and four year olds have a minimum requirement of wearing a diaper. no shoes. etc. that is appropriate to me. children can balance so much better without shoes. and they know if they are too hot. but so many kids are often overridden by parents. and i just wanted to clarify what you mean by inappropriate for a two year old. what might that be? Thanks, Jennifer. Inappropriate to me is a tutu with no underwear, a fancy dress that the parents don’t want to get dirty or one that trips the child when she tries to climb; just a diaper or underwear in certain public places (or on a cold day), etc. In other words, clothing (or the lack thereof) that restricts free play and movement, isn’t safe, or otherwise makes the child uncomfortable or doesn’t present him or her in a loving way. 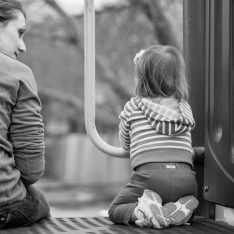 I have seen all of these things at preschool over the years… and I know that some parents believe that it’s okay for children to experience discomfort as a “consequence”. I don’t. I think it’s our job to overrule these choices. There’s a point at which “wear whatever you want” is received as “I don’t care” (and not in a good way) by the child. we aren’t there yet, but when our daughter is better with making choices, we plan to have 2 outfits laid out each morning for her to choose from. then she gets the opportunity to choose but we get control, too. Love this idea Alicia. I have told many parents that they control the choices, not the child. i’m reminded of something albert einstein once said about not wearing socks. to paraphrase, as an adult he didn’t wear socks and was relieved he could finally do what he wanted so he could feel comfortable. many parents believe they are doing what is best for their child by making them wear socks and shoes when it can feel stifling and uncomfortable to a child. of course i wouldn’t allow a child to go out barefoot in the snow but my best guess would be that the reason a child is refusing to put shoes on to go out is that she wants to stay home for some important reason. etc. Hi. I am trying to wrap my brain around this. I follow your blog and read tons of your articles. I have been trying to adopt with some success your principles as mostly they ring true for me. In a situation when there is not a stable enough environment for parent or child to be as calm as they can be I wonder lately if you would still make the same recommendations. Specifically if the child is feeling unsafe for any reason(mainly because one parent is having struggles and not available consistently) is it still ok to leave them? I have been more tending to listen to my child’s needs and confidently keeping him with me and this is a conflict with most parenting advice. Also my one we just discovered has sensory issues. If I had followed leaving as you suggest I would have been putting him in a ‘painful’ situation only because he doesnt have the words to specify what is going on with him internally. I can only imagine how his behavior would continue to unravel. Everything you say makes so much sense to me but at the same time I wonder how you feel following your gut plays a role. I don’t want to be just convincing myself that my way is right. I am Thanks so much! Last part was unfinished. I would just love to hear how you feel about what I said. I am trying to navigate by myself with little support. I think there is a middle ground. My children often refuse to put on coats before going out even though it is cold outside. I think this is partly due to not being able to predict how they are going to feel later (no-one wants to put on an extra layer when they are already hot!). I will always allow them to go out as they are, but tell them I am taking their coat in case they change their minds. Which they usually do shortly after leaving, so the coat is immediately put on. No fake punitive “consequences” such as being cold all day due to one poor decision in the morning, but I think this approach of allowing them to experience (briefly) the natural result of their decision helps them to understand why I want them to wear their coat in the first place and shows them I’ve got their back if they choose unwisely too. we’ve found that tears around leave-taking can be eased by inviting Miles to come outdoors to wave good-bye to me until i disappear from view. it feels good, because i’m not distracting him from my leaving–in fact, we’re paying a lot of attention to it–but he gets to do something active to recognize and process it. we’ve had a terrible time trying to accomplish tooth brushing, though. gently insisting has been met with gritted teeth. i’ve tried to be firm within reason; i might not be actually getting his teeth “clean,” but it’s important to me that he understands that this, like taking medicine, is part of his welfare that i’m in charge of even if he doesn’t enjoy it. but last night Miles bit me while i was doing it, and i yelled really loud. what’s worse, i think my expression revealed that, just for a second, i had the reaction i’d have if anyone else bit me that hard–i felt my face harden into real, dangerous anger. when Miles understandably freaked out, i acknowledged how scary my loud sound had been, over and over again, and gave lots of hugs. when he was calm again, i reminded him that biting hurt, and that it really hurt when he bit me, but that i was really sorry my loud sound had scared him. i think what really scared him, though, was seeing me turn, if only micro-momentarily, from mom into a big person who looked like she wanted to throw him across the room. i’m still a little shaken about it. it must be terrifying for him to know he has the power to do that to me. Lindsay, I’ll put in my 2c worth on that one. I don’t believe we have to hide our real emotions from our children, but when we do something like that it’s very important to talk it through- even with a very small child. I think you did exactly the right thing by explaining the connection between the bite and your anger. Acknowledgment is the best way of allowing a child to let go of these feelings. I completely agree with Aunt Annie. Your reaction is totally understandable, of course, and your son has learned that his mom has strong feelings, just like he does. That might be surprising for him, but on another level he understands… I love Annie’s suggestion to bring the subject up again… Thanks for sharing, Lindsay. thanks to you both–i got bombarded with work and couldn’t check back in, but was so glad to see my instinct to go back to the incident and integrate it, discursively, is also what you recommend. we actually did this, though i hadn’t seen your post, and did it again last week when miles had a particularly scary fall. we talked about it off and on for the rest of the day–i could see him wondering and processing. whether or not it continued to bother him, i’m glad we vocalized it repeatedly rather than hurrying away from a scary memory. thanks, friends. This is timely for me. My 17 month old daughter can sign “all done” and “more”; when she seems finished eating, I give her that choice, is she “all done” or does she want “more food”? For a while that was going well, but then she stopped responding to it; instead of signing “all done” she’ll throw food, or she’ll sign “all done” and then immediately want to get back up in the high chair and eat more. Or I’ll ask which she wants and she’ll just sit there. The explanation that toddlers have trouble making choices about transitions gave me an “Ah-hah!” moment. I’m still not sure exactly what to do, though. Actually, I think the problem is that sometimes my attention wanders when we’re eating together during the day, and everyone else is at work or school, and so she’s trying to get my attention again; and then once she has it, she doesn’t want to let go of it. Perhaps a bit more timely attentiveness on my part will solve this problem. Skyfire, I love the way you answered your own question! Also, along with your attention during mealtimes she needs your communication together to be clearer…and limits to be clearer. So, when she throws the food (or better yet, beforehand) let her know that throwing the food means mealtime is over. Then, do not offer her the option of getting back into her highchair. If she has feelings about that, allow them and acknowledge, “Oh, you really wanted to eat more after you threw the food. But throwing food tells me you are done. We’ll have more food later.” This is not being too strict. She’s fully capable of understanding this limit! She is obviously testing. AND, 9 times out of 10 when children throw food, they are not hungry. I always follow this rule – throwing food is showing me you are done, and means meal time is over – and it works really well with my dayhome children. It surprises them the first time their plate is removed (which may not happen at home) but then the boundary is clear. But I am less sure how to respond to my 2 year old grandson (who lives with us) with the new development of taking food off his plate and putting it on the table. He will declare “Don’t like brocolli. Yuck!” (even though he usually loves it) and take it off his plate, followed by his meat or whatever else is “yuck”, and just eat the mashed potato or whatever. I feel he isn’t done because he does continue to eat, so taking his plate does not seem appropriate? I have said he can decide what he eats but food stays on his plate – which he ignores. I a not sure how to handle this in a respectful way? How about giving him an extra plate for him to place the food that he doesn’t want to eat? I would do that and then have a very low key, nonchalant response (even though you know he usually likes broccoli). Just accept, and this behavior will lose it’s power. Thank you for the timing of this post! My eldest daughter is a high school senior in the midst of deciding which college she’ll attend. She is experiencing all the anxiety transition brings and what choices toddlers cannot make is absolutely true for older kids too! I work hard to make sure she can decide what’s right for her, but I also see her crying out for a bit of, ‘now or in 5 minutes’ from me. It is hard to have the same patience with an 18 year old as with an 18 month old…she’s an adult about to leave the nest surely she can make a choice, not always…sometimes she still needs her Mommie to help clarify her options. She probably wouldn’t admit this, but I believe she most likely suspects it. Out of the mouths of babes, right? If I’ve done my job right. Wow, Roby, I love that! Yes, the teen years are very similar. Toddlers are in the healthy process of gaining more independence and teens are getting ready to leave the nest. Both have to reject and resist us, disagree, etc. That’s why presenting situations as a choice to a toddler, when she senses that we want or need to do whatever it is, often fails. Toddlers NEED to say “no”, even if they actually want to do it. So, the way I see it, putting toddlers in this position is insensitive and unkind, even though we certainly don’t mean it that way! But what about the time after the limit is being set and when things calm down. This is quite a crazy period for us. My just three year old will screem for a long time which disrups the rest of the family – such as dinner or my other child going to bed. we now have the rule – if you throw your fork you don’t get another one. Well this causes a mess. We started removeing her from the room and holding her in her room until she calms down so the rest of the fmaily can eat. At night – again things are not going well – the limit of no more water or food or anthing else she asks for creates quite a tamtrum. Her sister is trying to sleep in the bed next to her. So we take her into the living room and sit with her until she can calm down – could be 30-45 minutes. Is this giving in? I hear som many people talk about the importance of setting limits but I feel like no addresses what to do to keep that limit set with an out of control child who is resisting that limit. Another question too – I might say: you may get in your carseat or I will help you – but she is out of control so the answer is obvious 🙂 BUT it seams border line abuse forcing her in there. Some kids are strong. Is this the right thing? Stacy, it’s a bit hard for me to get a clear picture of these situations from what you’ve given me. Is this sister she sleeps with younger? It sounds like your 3 year old might not be getting enough positive attention from you, so she is seeking it through negative behavior. It also sounds like there might be “big sister” emotions here that haven’t been addressed. Do you find yourself getting impatient with her? Correcting her a lot? I’m having very little patience with my son of 27 months, I am very stressed and Im yelling many times to my son, I think is that I’m resting a bit, also I have a baby of 3 months. I have read about RIE in this blog and also I read about positive parenting and I trying to change my way of speaking. I try to acknowledge their feelings, I taught to cooperate. But I feel that I have already made much damage, I dont know where to start to change all that and be a better mom. I would like for him to learn to enjoy his childhood but himself is limited. I would like to participate in some classes of RIE but I’m from Venezuela and it is very expensive for us to travel to USA. i bought “positive parenting in action” from positive-parent.org and this is helping me a lot. Jahdy, first of all, please don’t worry about the past… If you were a “bad mom” you wouldn’t be reading blogs and looking for guidance. I understand why your son is yelling at his sister, and I think it’s very important that you do, too. The new baby is a heartbreaking experience for your son. This would be true no matter what you did. He is in pain and needs your empathy, not lessons and scolding. I think you know that…but try to keep that in mind. You are very, very stressed and your boy is, too. Maybe just acknowledging that…together…would bring you closer. Be honest with your boy, but whenever possible, try to lead with empathy…that means seeing him as an unhappy guy rather than a bad, annoying one. Jahdy, no worries, it’s not nearly as bad as my Spanish! I have an almost 3 year old. We argue almost every morning about getting dressed. I have given her options and sometimes it works and others not. I noticed she likes dresses lately so I went out and bought her a few pretty dresses so that she would get excited to get dressed. That works sometimes. Yesterday we had a stand off in her room. She got up brushed her teeth and headed back to her room to get dressed and no was her answer to any option I gave her. I then told her she had to stay in her room till she got dressed. She got in her bed then got up and came out of her room. She wanted breakfast I said that she couldn’t come out until she got dressed. After a couple tantrum cries she came out and was ready and I gave her a couple of dressing options and she picked one and gladly got dressed. Maybe that isn’t the best way to handle it but I am at a loss especially on the mornings we need to be somewhere. Janet, I just wanted to comment briefly how much I love your blog. It has become a bit of an obsession with me lately as I can’t get enough of your wonderfully insightful posts and suggestions. I find your site so motivating and energizing to my parenting. My son will soon be 20 months, and I find I reflect on ways to address him throughout the day thinking about the language you often model here. I am trying to find that balance between offering appropriate choices (and how to phrase them) and setting boundaries. I recently discovered the forum section here on your site and on one of your responses there you commented about keeping things simple and if there is no choice, don’t offer one! I am keeping that in mind as I wish to be respectful, but also clear on the limits I find important to set. I have posted a few questions there that when you have some time, I would love your perspective on. Thank you for all that you do, you are such an inspiration! I’m curious as to what exactly you say when the three minutes is up and how you phrase things generally. Whenever I’ve tried this approach, I don’t feel as calm and collected as I want to. I’m wondering if I just don’t have a wording I’m comfortable with yet, or maybe there’s just doubt in my own mind as to where to set the limit? 1. If the child is dawdling and you have a few minutes, sometimes it helps to say very calmly and matter-of-factly, “Oh, I see you are doing so-in-so, please let me know when you are ready. Then, sit yourself down, relax and get comfortable while you wait. Really let go. The child will almost always appreciate this little bit of autonomy and will very soon enjoy either saying “ready” or giving you another kind of signal. 3. If the child still resists, I would say, “You are having a hard time with this, so I am going to help and pick you up.” Do this kindly, gently, without the slightest resentment or anger. Feel confident and in control. If you are already beginning to get irritated, I think it’s much better to just skip to this last instruction. I have a little dawdler. He explores, he plays.. he does this pretty much all the time. In the morning after he wakes up, after naps, before meals… it’s more of a personality thing really. He needs time to kind of get things going. He’s fairly mellow and likes to play and enjoy his surroundings. I am ok with that, and actually really happy to see him being so independent and finding things to do on his own. But… he will use signs or point to say to me that he wants to eat breakfast or lunch or go outside, etc…, so I will say, “ok, then I need to change you first” or “we need to do _____ first” He will then dawdle some more… Ha ha… He has become a master at this! He isn’t a huge fan of diaper changes, but once he actually gets himself there he’s totally fine. I do find it can be really challenging to get him going for the day and to get out the door if we have to going. I do at times, when I need to just say, “today we need to do “such and such”, so you only have a few minutes to play, and then I need to change you. You can climb up on your own, or I can help you.” Since he has become much more independent, many times he will want to do it himself, but… he will come up about halfway and stop! : 0 Then I find I have to “help him” the rest of the way. I find that type of testing in other areas as well. I guess 2.5 can be that way? I often wonder if I let him have too much freedom, but I also want to build his independence and autonomy… He has some medical and developmental challenges, so I do feel this is even more important, yet I also want him to have clear boundaries. I think the balance is challenging. Thoughts? good guideline! what about at different ages, can you give us guidelines for different ages please? Hi Irene! Could you please be more specific? If you give me a specific situation and child’s age, I might be able to help. I have been wondering how to handle my almost 18-month-old’s diaper changes lately. She is very energetic and funny, and when I take her out of her crib in the morning or after nap, she just wants to run around and play. I have been distracting her with books or singing, but I feel like I am not having an honest interaction with her if I’m plying her to stay still while I change her diaper. Sometimes I just don’t have the time to dedicate 20 minutes to a diaper change, but I don’t want to rush her through the process, either. I’ve tried waiting until she’s ready, but that doesn’t work– she’s never ready! I’ve tried saying, “Okay, you can look at that book, and then we need to change your diaper.” That doesn’t seem to do much good, either. She can be very squirmy, and is an extremely tall child for her age, and sometimes it’s really hard to get her to stay on her back to change the diaper. I refuse to hold her down. I would really appreciate any advice you or anyone else has to offer. Thank you so much! I love your blog! Can you change her standing up and ask her to bend over for you when you need to wipe? Thanks for reading and your kind words! Thanks, Janet, just came across this post, and with Pablo being 22 months old, it is very much apropos! Great clarity and insight, very grateful for your posts. Enjoying all your articles. I am a fairly new montessori toddler guide and look constantly for pertinent articles to share with the parents. Before guiding toddlers I taught the 3-6year olds for 23 years. Guiding Toddlers and new parents is a whole new welcoming challenge for me. Your thoughts and ideas are so refreshing, so thank you. You are so welcome, Elena. Thanks for your kind words! Hi Melissa, I am a teacher of 4-5yr olds and I love reading Janet’s blog. I find that I am able to transfer a lot of this great advice to children older than toddlers. In my teaching I often find that some children who have trouble with boundaries or self-regulation are not as socially or emotionally competent as their peers (perhaps they did not experience some of these things during toddlerhood and are just doing so now?) Anyway, what I am trying to say is that I think that Janet’s advice and knowledge can totally be transferred to children of any age. Good luck with your son. Finding your blog and this post is so timely for me. My 25 month old son has been driving me crazy lately, and I desperately need some strategies for handling his behavior. There are so many great ideas in this post and in the discussion in the comments! One method we have been using to set limits is to say, okay, if you don’t do X by the time I count to three then Mommy is going to do it for you. Then calmly count to three, and follow through if he hasn’t done X yet. We get fairly good results using this method. Do you feel like this is respectful? Do you have any better alternatives to suggest? Similarly, we have been meeting some resistance with bedtime lately. Typically our routine has ended with me putting him in his crib laying down, and then put his little blanky on his chest and tuck his stuffed animal under his arm. Lately he’s been standing up in his crib after I put him down, and refusing to lay down to go through the routine. So tell him if he doesn’t want to lay down that’s fine, have a good night, hand him his blanky and stuffed animal and then leave. As soon as I leave he starts crying. Usually I go back in and he’s laying down ready to go through the routine, and I do all the normal stuff then leave and he’s fine. I like that I’m able to get him to lay down by leaving, but somehow it doesn’t sit right with me. If I go back in too soon, he pops up again like he knows I wasn’t really serious about leaving. Do you have any thoughts on how I’m handling this, and what I could do differently? I’m wondering if I should stop going back in after leaving the first time, even though it’s so heartbreaking to hear him cry like that. Great article, thanks! I am saving this for future reference! Janet, I have a question about firmness. My 20 month old has started really testing me lately. one easy example that I am dealing with on a daily basis is pinching me either when I’m taking him for a diaper change or right before we nurse. My question is about this. When he does the pinching, I say, “I won’t let you pinch me. Pinching hurts. Only nice touches.” Then demonstrate a more soothing touch on his arm, or on my chest. (We do this with the cat and it is very effective) But with me, he keep pinching. I remove his hand and repeat and then (try to) give a stern look. At that point, he gives me his most winning smile and I am at a complete loss. Part of me thinks, are we connecting? Is he understanding me and I can smile back an dsay, “Thank you for listening. I love you.” Because sometimes right after that, he’ll pinch me again. Or is the smile asking something different? Like, “Do you really mean it?” I have such a hard time holding the stern look and knowing when the moment has passed. I’m just wondering if I’m not being consistent when I meet his smile. But sometimes it just feels right… until he pinches me. Thanks! Hi Leah! I’m not a fan of “stern looks”. What children need is our authentic competence and confidence. Stern looks are forced to create an effect…and children know that. I would simply hold his hands when he tries to pinch so that he cannot pinch. “I don’t want you to pinch. It hurts.” Ideally you will be calm, relaxed, totally un-threatened, almost smiling. Your son’s smile is saying #2, “Do you really mean it?” So really mean it. Reassure him, “I won’t let you pinch. I will hold your hand until you’re done trying to pinch.” Personally, I might say, “this pinching tells me you don’t want to nurse.” Since he does this before nursing, I think he might be indicating that he is ready to wean. It seems that he is asking you to express your personal boundaries. Great article! Thanks for all the advice and tips. My daughter is 15 months old and the other day we were babysitting a little girl that was maybe 18 months. My daughter kept wanting to play with her toys and the other little girl did not like it. She kept saying “No. Mine” And my daughter kept trying to ‘borrow’ the toys throughout the afternoon. Hi Janet, I found your site by searching seeing boundaries with toddlers my son just turned two. I’m a first time mom and need some advice. I am a stay at home mom and have a hard time with discipline. example: My son isn’t allowed to play in the dvd cabinet but often does. If I tell him no and take them away, he will go right back to the cabinet and try again. Yea, I could put a baby lock on the cabinet but that’s not really teaching him to listen to me and know he’s not supposed to do it. Would you recommend a time out? How can I teach him there will be consequences for his naughty behavior 🙂 Thanks! I was told about this website by my son’s preschool teacher, I found this article so helpful no more crying and struggling to get into the car seat now he can either hop in himself or he asks me to ‘whoosh’ him in. I wonder if anyone has advice for something I’m going through with my 2 1/2 year old- for about the last month or so. She is really fighting me on night time lately. She’s always been a child who seemed to need some time to unwind in her bed at the end of the day. When she was younger I’d often hear her singing, or playing with her lovie for a half an hour or so before she settled in for sleep. This has turned into screaming and tantruming when I leave her in her crib. She loves her bed (crib) and we have a bed time routine that has not changed in forever. Brush teeth, pjs, stories in her room, “prayers” and cuddles and then into bed. She helps me turn out the lights. I’ve talked to her about her feelings and her tantrums during the day and asked what is going on- she’s a very verbal little thing. She told me, very softly, “mommy, I just want you all the time.” I repeated this to her and we talked about how nighttime is her time to sleep in her bed, and that we will play again in the morning. It’s not like her to get this upset, this is not something that is happening during the day, and I mean, she sometimes gets really really angry. I have told her that that it is time to sleep and I tuck her in and say that I will come back in the morning. I didn’t want to go back on that, so I didn’t, but I’m second guessing how I have handled this because it’s lasting so long- which I know she can sense. I have been making sure I’m pleasant and calm at night when I’m leaving her. (there have been no changes at home- nothing…)Do you think this is just her way of letting off steam at the end of the day or the result of something I’m doing/saying? Can u share more behind your comments on bye bye and better methods to handle? Love this article and respomces. In one of the comments u mentioned about not giving stern looks when the mom was pinched. Can u expand more or share an article on what u mean by stern looks? Janet, I love this article. I would love to know how to translate this to a 12 year old. I have one that I feel is exhibiting complaining, whining, pushing and niggling etc and maybe he needs more limits, even though he is constantly fighting for control? I would love your thoughts. Great post. Just the advice I needed. Thanks for gently explaining how we can get into these power struggles in the first place. I am a pleaser and am trying really hard to be a respectful parent. I can now see how that is inadvertently making my 2 year old more uncertain and difficult. This article is so timely for me. My 3.5 yr old daughter is pretty timid in new situations and around new people. I’m doing a Bible study on Wednesday mornings and they would prefer for us to drop them off and walk away confidently even if they are crying. This week was the first meeting back and my daughter was excited to go until we hit the door of the classroom then she froze. I had to keep her from running away…embarrassingly it was me pushing her in the door and the teacher taking her. Not calm at all. (The teacher taught my son last year and she’s really sweet.) I found out that she was upset for quite a while and finally calmed down about halfway through. I’m going to try the “do you want to go in now or in one minute” If that doesn’t work would “Would you like to walk in on your own or have your teacher help you?” I would love to go to the gym but don’t because I know she’ll react just like this. I feel trapped. I just don’t want to put others out so to speak with her stress at me leaving. I really identified with a few things Stacey and Joanne mentioned (with my daughter, it’s about changing and car seats in particular) but I don’t see any responses to either of them. Have I missed them? Hi. I am trying to wrap my brain around this. I follow your blog and read tons of your articles. I have been trying to adopt with some success your principles as mostly they ring true for me. In a situation when there is not a stable enough environment for parent or child to be as calm as they can be I wonder lately if you would still make the same recommendations. Specifically if the child is feeling unsafe for any reason(mainly because one parent is having struggles and not available consistently) is it still ok to leave them when they are not feeling it? I have been more tending to listen to my child’s needs and confidently keeping him with me and this is a conflict with most parenting advice. Also my one we just discovered has sensory issues. If I had followed leaving him at school as you suggest I would have been putting him in a ‘painful’ situation only because he doesnt have the words to specify what is going on with him internally. I can only imagine how his behavior would continue to unravel. Everything you say makes so much sense to me but at the same time I wonder how you feel following your gut plays a role. I am conflicted. Thanks so much!